David Hoggard was a wholesale instrument salesman with a passion for restoring historic homes when he stumbled into entrepreneurship. He and his wife planned to buy homes in the Aycock Historic District (now called Dunleath), improve them, and rent them to earn money to send their children to college. 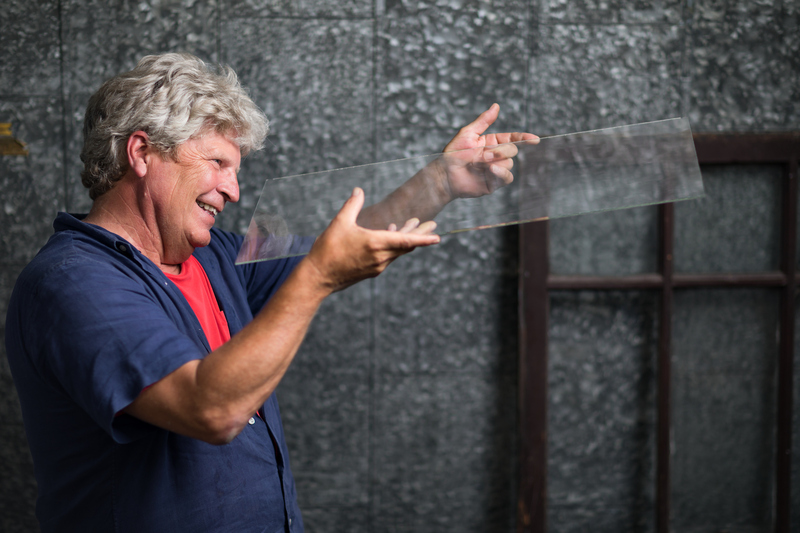 It involved a lot of hard work, including the delicate business of repairing 100-year-old windows. By historic district guidelines, restoration is always preferred over replacement. That made sense to David, who says unlike modern windows, these were made to be repaired. Before long, people were looking to him for advice on how to repair their own windows. Today his business, Double Hung, has 20 employees and restores windows for commercial, institutional and residential properties. 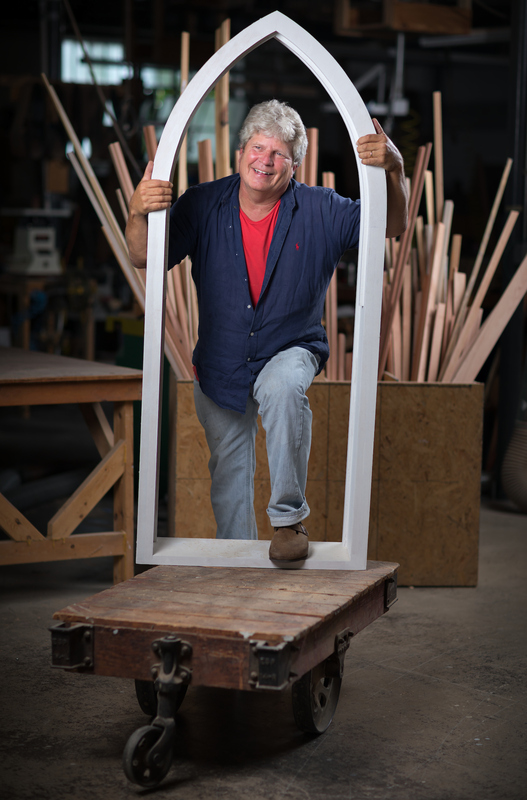 Window sashes from across the Southeast are carefully stripped of centuries of paint and repaired at the company’s bustling Patterson Street workshop. 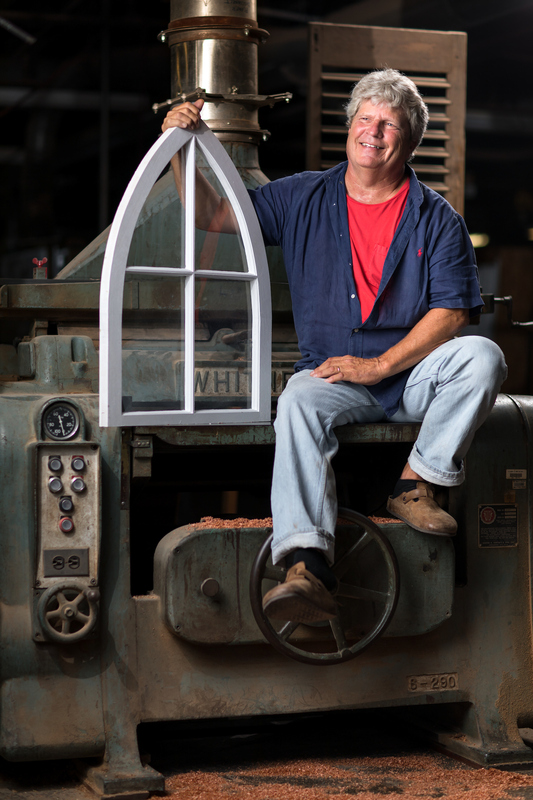 You’ll find Double Hung’s handiwork at the old State Capitol building in Raleigh, the Virginia Supreme Court, and the Greensboro Historical Museum.